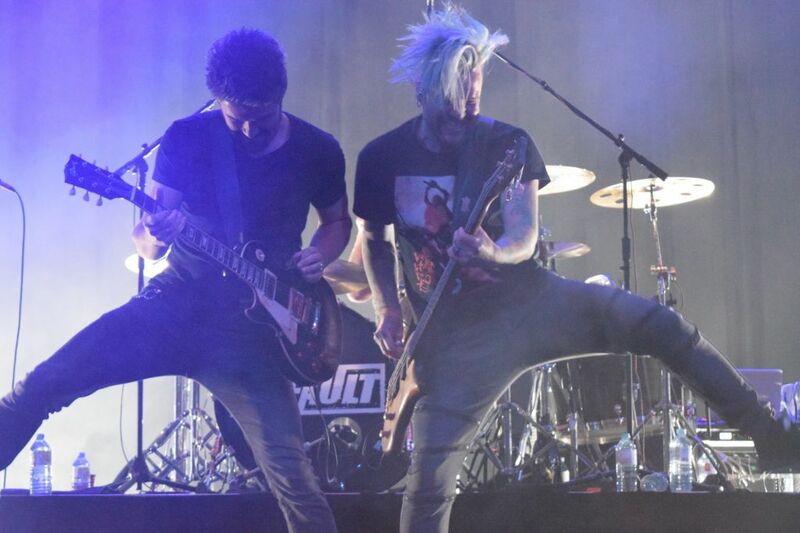 Vancouver-based rock band Default brought their fans back through the eras on Nov. 12 at the Algonquin Commons Theatre. The band – made up of Dallas Smith, Jeremy Hora, Dave Benedict, and Danny Craig – proved to the crowd of well over 200 that they’ve still got what it takes to rock their fans and the house. Vernon B.C alternative five-piece band Daysormay got the party started with a great set that had the crowd pumped for the remainder of the evening. The atmosphere and energy was electric and at multiple points, the band stopped singing and the lyrics resonated through the crowd. If one thing is clear: a six-year hiatus did not affect the band at all. It’s like they never left. Default verdict: Canadian rock alive and well Reviewed by Karine Beaulieu on November 22, 2018 .